Are you ready kids? 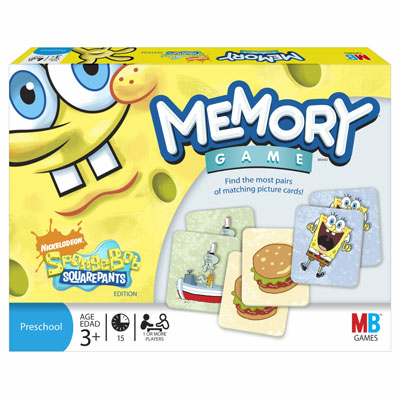 This memory game is a matching adventure, starring SpongeBob Squarepants, Patrick, Gary, Squidward, and other friends from Bikini Bottom! See how many matching pairs you can find! And since it's simple to learn and quick to set u, MEMORY adds more play to playtime. Includes 72 cards, storage tray, and instructions. Ages 3 and up.